As India’s unicorn list gets bigger, it also keeps getting more diverse. Dream11 has become India’s latest unicorn startup, and also the first from the fantasy gaming space. Dream11 is now valued at $1-$1.5 billion after an investment from Steadview Capital. Three of Dream11’s existing investors— Kalaari Capital, private equity firm Multiples Alternate Asset Management and San Francisco-based hedge fund Think Investments sold a portion of their stakes in the transaction. “We are excited to welcome Steadview Capital onboard…Providing great returns to our shareholders, whether investors or Dreamsters, is very important to us and further reinforces their belief in Dream11. We will keep working hard and are targeting to end the year with 100 million users,” said Dream11 CEO Harsh Jain. This is, fittingly, a bit of a dream run for the company, which had been valued at around $500 million in September last year when it had raised funds from Chinese giant Tencent. Dream11 had been founded in 2012 by Harsh Jain, a graduate of the University of Pennsylvania and an MBA from Columbia Business School, and Bhavit Sheth, and MBA from Bentley University, Boston. Both were die-hard fans of fantasy football, and wondered why similar alternatives didn’t exist in India. 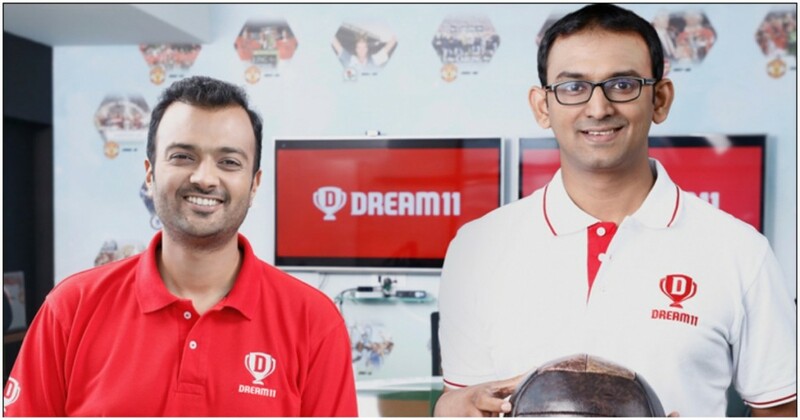 They founded Dream11, a platform which allows users to choose the members of their their fantasy teams, and then earn real money based on how they perform on the field. Dream11’s growth has been impressive — it had 10 lakh users in 2014, which grew to 1.5 crore users by 2017, and to 4 crore users by 2018. It’s helped that it has signed on some of cricket’s biggest names to endorse its product — in 2017, Dream11 had been endorsed by Harsha Bhogle, and this year, it ran a TV campaign with Mahendra Singh Dhoni, challenging users if they could be “Dimaag se Dhoni” and select the best-performing teams. In the current IPL, Dream11 is advertising even more heavily, doubling down on what has to be among the busiest periods for the company. But it hasn’t been all smooth sailing. While online gambling games aren’t allowed in India, Dream11 called itself a “game of skill”, and skirted past regulators. Not everyone agreed — in 2017, it was taken to court over allegations that it was a gambling game, but the High Court ruled that it was indeed a game of skill, and the order was subsequently upheld by the Supreme Court. Dream11’s similarly with gambling apps has also meant that its app isn’t allowed on the Google Play store, and the company sends users a link on how to download it after they give a missed call on a number. And like most other startups, Dream11 is losing money — in FY2017, Dream11 had revenues of Rs. 62 crore, but ended up with losses of Rs. 15 crore. Losses aren’t going to faze Dream11 — it is now one of India’s few unicorn startups, and also has the might of Tencent behind it. Dream11 always did have the basics to be a successful company — its product married cricket, earning money, and predictions, which is a heady combo to provide in India. And now with its billion-dollar valuation, it’s gone ahead and shown that its service clearly has plenty of takers.